This three-hour course gives up-to-date information about bullying, cyber bullying, and best practices in implementing bullying prevention programming. The course also addresses the important role that K-12 school administrators (i.e., principals and assistant principals) can play in addressing this issue and provides practical tools and strategies for these leaders. Employing extensive use of video, interactivity, and case studies to create an engaging experience, this course helps school administrators apply essential knowledge and skills for preventing or responding to bullying. Participants will be presented with 30 assessment questions and must score 80% correct to be awarded a course completion certificate. Participants will also complete 14 course evaluation questions. For orders of $250 or more, contact a Hazelden Sales representative at (800) 328-9000 or professionaled@hazelden.org to place your order. 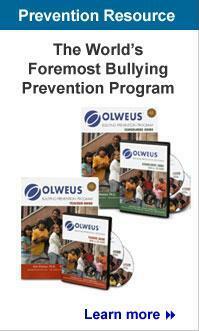 For orders under $250, visit www.hazelden.org/onlinelearning. Download this PDF with instructions to help you register. If you have any questions about any of our training programs please email us, or call 800-328-9000, ext. 4672.